Sachin S Vankalas is a multilingual finance professional, with over a decade of professional experience in Asset Management and in particular in Impact and Responsible Investing. At Luxembourg Finance Labelling Agency (LuxFLAG) in his role as a Director of Operations and Sustainability, Sachin primarily works with Investment Funds active in Responsible / Sustainable Investing themes which include Microfinance, Climate, ESG, Impact Finance, etc. Prior to joining LuxFLAG, Sachin worked first as an Investment Officer for a Swiss Asset Management firm and as a Rating Analyst for an international rating agency. 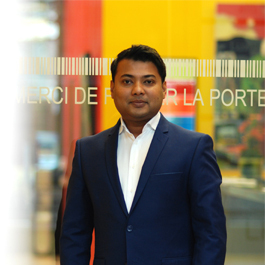 While working in a Rating Agency specialized in Microfinance and in a Social Investment firm operating in developing countries and economies in transition, Sachin worked on ratings, due diligences, institutional assessments and investment projects (of over USD 50 million) for more than 75 financial institutions across continents. Sachin completed executive education programs in Finance and Sustainability from Harvard University & NYU Stern School of Business and holds a MS in Banking and Finance from the Luxembourg School of Finance. He is a member of the ALFI Technical Committee and Working Groups on Responsible Investing and is a frequent speaker at international conferences.